In a world of social media, challenges have become the rage. Popular ones like #InMyFeelingChallenge, #LevelUpChallenge, #SoGoneChallenge and #MannequinChallenge have taken over explore pages across the world, and one more has been added to the list to jump off the new year:#10YearChallenge. The new popular challenge has taken platforms by storm and is influencing millions of users on Twitter, Facebook and Instagram to participate. This includes some of your favorite celebrities, such as Cardi B. The challenge invites users to share throwback photos of themselves from 10 years ago adjacent to one from this year. You may have heard of it by the other names the challenge goes by:#HowHardDidAgingHitYouChallenge and/or the #GlowUp challenge. 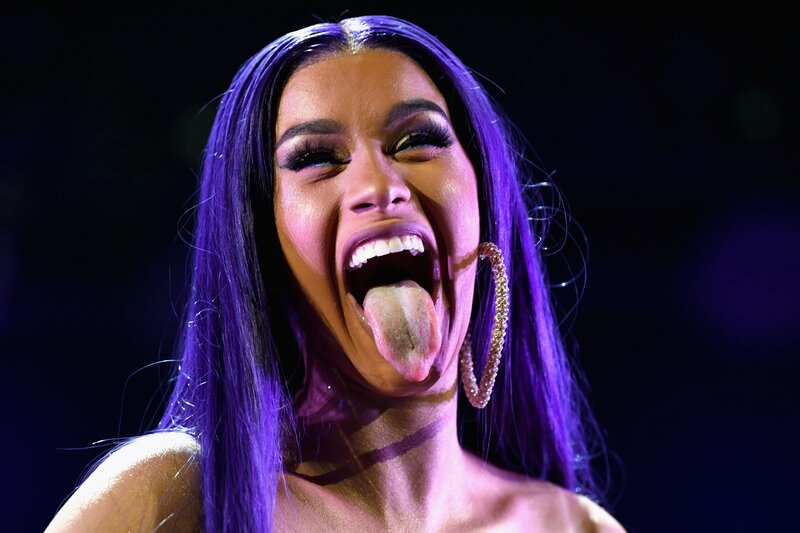 Cardi B, switched things up a little bit by posting a video instead of a photo of herself from high school performing Lady Gaga’s popular song, “Bad Romance” on Instagram and her fans of loving it, according to TheDailyDot.com. The post definitely shows that the “Money” rapper was already a star in the making. But, there may be a downside in participating in the #10YearChallenge, which originated on Facebook. It was reported by CBS News, that Facebook has distanced itself from the popular trend after an article speculated that the platform could be retrieving data from the photos to improve its facial recognition algorithms. “It presented Facebook with a terrified opportunity to learn, to train their systems to better recognize small changes” in users’ appearances, said Webb, who is releasing a book about how artificial intelligence can manipulate humans.